Who can ride a dirt bike? How many dirt bikes are registered as road bikes in the United States? How much will it cost to turn a dirt bike into a street bike? What types of accessories do you require? Not all bikes are legal on the public streets, and wearing protective dirt bike helmets or adding a few lights won’t change the situation too much. However, if you want to make the most out of your women’s full face motorcycle helmets and prove you can ride your bike on the public roads as well, here are some things you need to take into account. Dirt bikes or dual-purpose motorcycles represent vehicles that can be used both on and off roads. They are generally designed to withstand off-road conditions better than regular bikes and often include additional mirrors, signals, lights, and other instruments that allow them to be ridden on the public roads as well. 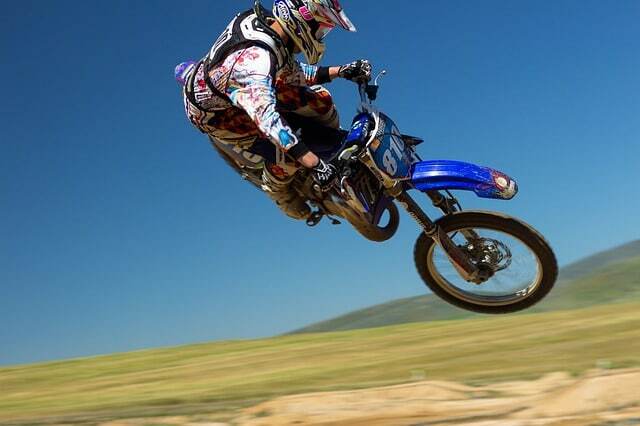 Generally speaking, dirt bikes are higher than regular street bikes and feature a tall seat that ensures better suspension when handling rough ground or dirt. The main difference between a regular road bike and a dirt bike is that the latter doesn’t require an operator’s license and liability insurance for the rider. In half of the states, the rider can even be underaged, as long as he or she is accompanied and supervised by an adult. 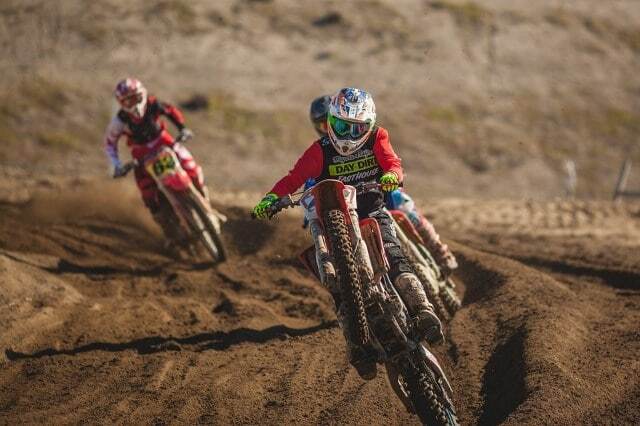 Some other states only require a rider training certificate issued for minors who want to ride dirt bikes, which is why these vehicles shouldn’t be used on public roads or in any other locations where they can risk hurting other people. When it comes to legal matters, each state is governed by its own laws and regulations, so you need to carefully check them before buying and using a dirt bike, especially if you are a minor. 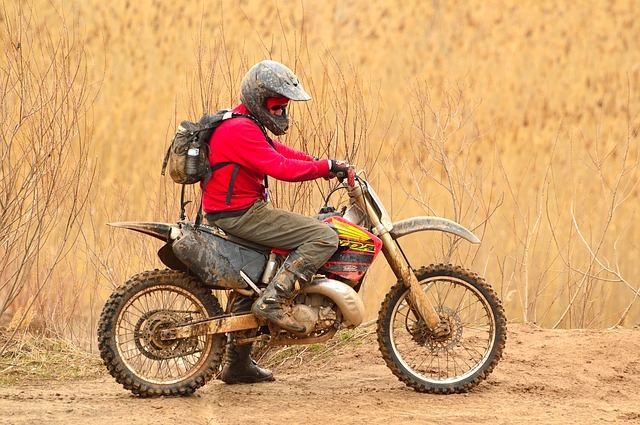 Most states have similar regulations for these off-road vehicles that also include three and four-wheeler ATVs, especially when it comes to specific safety certifications and the rider’s age. As with all other rules and regulations, the mandatory equipment requirements for dirt bikes to be used on public roads differ. Headlights and horns are the only things that are mandatory for all states, while the use of tail lights, turn signals, mirrors, and speedometers differs from one state to another. For instance, turn signals are not mandatory in Colorado, Illinois, Missouri, Wyoming, Utah, Arizona, and Texas to name a few. Indiana, for instance, requires all the previously mentioned pieces of equipment in order to be able to ride your dirt bike on public roads. Turn signals and mirrors are not mandatory in Missouri and Mississippi, while speedometers are only required in Nevada, Oklahoma, and Wisconsin. Therefore, before taking your dirt bike on the streets, we strongly suggest to check with your local authorities and see exactly which protective elements are required to ensure a safe and legal ride. Apparently, dirt bikes used for traveling on state roads are quite popular, as more than seven million of these vehicles are registered. For instance, California issued over 800,000 licenses for dirt bikes, while Florida ranks second with more than half a million of licenses. Texas, Pennsylvania, and New York are also states where dirt bikes are popular, as each of them issued over 350,000 licenses of this kind. This obviously depends on the number of pieces of equipment you need to install, as well as the price of the licenses, and other additional taxes you need to pay. Moreover, you’ll also require plenty of time on your hands if you want to make these modifications on your own. However, if you are not a professional mechanic or don’t know exactly how these things work, there are various companies willing to turn your vehicle into one that can be operated on local roads, for a fee. Keep in mind that bureaucracy in this field is big, and you may end up wasting weeks in a row trying to make your bike legal. Luckily, companies that offer these services come with a money-back policy that guarantees you’ll only pay for your bike after it receives the necessary permits to legally ride on public streets. As we previously mentioned, headlights are mandatory for all dirt bikes that want to pass the road tests. Most states require bikes to feature DOT-compliant headlights that can be switched from high beam to low beam, according to the road visibility and the weather conditions. However, no matter the hour of the day or the temperatures outside, headlights must always be lit while riding your bike to ensure proper visibility from afar. If you’re worried about headlights draining your bike battery too fast, you can opt for LED headlights that don’t consume too much energy and also emit a brighter light than regular headlights. And, even though most states don’t have strict regulations regarding the placement of the switch, it is common sense to have it within a reachable and comfortable distance. On the other hand, tail lights will help you check four DOT requirements at once since it can act as a license plate light, tail light, brake light, and turn signal. Therefore, no matter the local laws, we suggest you install one as soon as possible. Just make sure that it is connected to a battery as certain state laws require that, along with the ability for it to remain lit for at least 20 minutes in a row, for safety reasons. Don’t forget about the importance of the mirrors either. While some states will require you to have two mirrors in place, most rules and regulations only ask for one working mirror.